This picture shows the equipment needed for the Floor Class at Bamboo Studio. 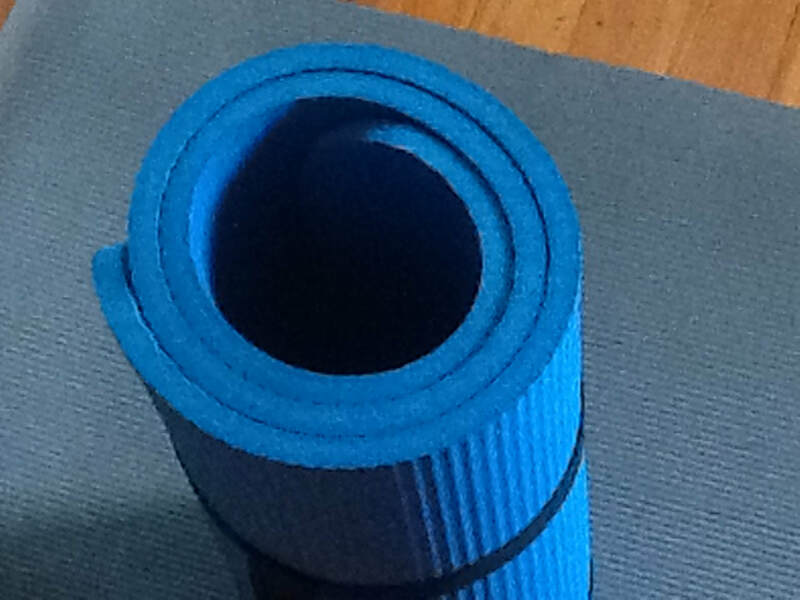 The mat is a high density mat which is thicker than a traditional yoga mat as shown in the picture below. You will need your mat for both the Floor Class and the Breathing Class. For the Floor Class you will also need a dense wool blanket or large thick towel that can be rolled tightly and secured with rubber bands as shown in the upper picture.